Whether you want it or not, you've got it: Sony has just officially taken the wraps off its Xperia Z5 Premium, the world's first smartphone with a 4K Ultra HD (3840 x 2160-pixel) resolution on a 5.5-inch screen, and yes - that works out to a whopping 800ppi+ of pixel density. The phone is already a fact and will be available in the coming months as a direct competitor to the expected Apple iPhone 6s Plus, the Samsung Galaxy Note5, as well as the other high-end phablets. Having this fresh official announcement at hand right now, though, is a reminder for us to take a look at what you, our readers, think about 4K displays on smartphones. And (un)surprisingly, the majority of our users say a 'No' to 4K display: with over 3,000 total votes, more than 60% (62.6%) have said they don't want a 4K display on a smartphone. Admittedly, though, there are still nearly 40% (37.4%) that are actually in favor of a 4K screen on a phone. The pros of a 4K display clearly lie in the larger number of pixels, but the jury is still out on whether the human eye - even with a perfect 20/20 vision - can differentiate between pixel densities above 300ppi at regular viewing distances. We guess that it will take a real-life blind test to find out, and we'll sure be doing that and comparing the 4K Z5 Premium against other, not so high-res 5.5-inch displays. Do you want a 4K display on your phone? Not just that, but as what 2k did to 1080 technology, this will mean midrangers will start packing 2k screens. Nothing to iPhone, did it? They still look just fine with mere FHD and sell very good. Customer look at perceptible differences, not something fancy names and numbers. Sony themselves claim 10h of video playback with this battery. You remember how much they claimed for Z3+? 580 mins, meaning just less than 10h. So that means there is hardly any change in batterylife even with more batter capacity. Actually you're wrong, customer looks at numbers and the years of marketing about specs prove that. For some reason though when Apple came around people somehow turned that part of their brains off... Anything over 1080 on a sub 6 inch device is a gimmick though. The good thing about 4K displays though is if they can be made to run in 1080 mode (4 pixels acting as one) and switched to 4K on demand. 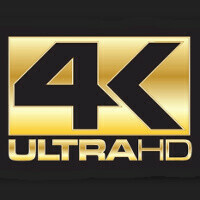 The current tech isn't really ready to provide reasonable performance at 4K, in the Sony example a whole lot of upscaling is taking place but that also impacts performance. A 4k display should be awesome for VR. Each eye will have a resolution of 1920x2140. Great for the VR junkies, I still say these devices are not meant for VR and dedicateD VR headsets are what you should be interested in. The whole cardboard or insert your phone into this frame trend is one of the most ridiculous and stupid things I've seen in the industry lately. Poll question should be do you want a 4K display on a samsung phone. I wouldn't mind it at all. Amoled screens proved that they can be pretty power efficient no matter what resolution you throw at, plus it won't affect outdoor visibility. Exactly my thoughts. 5+ hrs of sot will be enough for me to get the Z5 Premium over any phone atm. Sure there is barely any 4k content on the Internet right now, but it will be great to enjoy your 23mp pictures and 4k videos on that 4k display. I don't have to have it on a smartphone but if its available I definitely wouldn't mind trying it out even if I can't tell the difference. If there is no negative effect on performance and cost, I wouldn't care. Go ahead if they want to add it. Will it make the experience better? NOPE!! It's all for the spec sheet at this point. If you use the display for VR. Then it will look an make the experience better. I have VR headsets. I can still see pixels in a QHD display. Remember a QHD display has a resolution of 2560x1440 which looks great without VR. However as soon as you use that display for VR then the resolution is cut in half. So each eye sees 1280x1440. With a 4K display, now each eye see 1920x2140. I don't want it. But I sure am amazed about it. This phone is not about what we want, but about what we can achieve. Let's not forget that tech still has to innovate a lot and that a step like this is pure innovation, but not ready for the consumer, not yet. It's for the tech itself. We don't want an unnecessary "feature" to have a negative battery or fps tradeoff. So if implemented, they need to do it right, and ideally bring some new practical use cases for having it. I don't want it for specs along, and the battery spec is a priority above this anyways. What can it DO? I WANT 8K SCREEN ON MY iPHONE ! Unfortunately you'll have to wait until the iPhone 100s. Those who vote for "Nope" are just naive, and yes, it might be overkill, but this kind of technology will reach to most phones sooner or later anyways. I seriously don't understand why so many people vote for "Nope". I mean if this phone has good battery life, doesn't overheat, isn't it enough for you to relax and get a phone with 4K screen? I really don't understand, or maybe it's because it isn't a Samsung? I come here in peace, don't flame me. I just wanna know the real reason. When I go to places "in peace" I usually don't start with calling people who disagree naive. I mean if a phone has good contrast, color tempature, sharpness, and a good enough pixel density, isnt it enough for you to relax and let people not care about having a 4k display? I really don't understand, or maybe it's because this is a sony. Seriously, why does it bother you so much that people aren't jumping to get a phone with a 4k display when most consumers don't even have a 2k display? Does it also mystify you why everyone isn't running 4k 34inch curved monitors already? My "real" reason is it's of very low priority to me. I think it's safe to safe that is the case for most people here. It's around $800... for the Z5 premium. Why??? No real rational reason, they are doing it just because they can. The first 4k screen probably won't be a huge performance increase since the phone have to push those extra pixels. I remember going from iPad 2 to the 3rd gen and perform slightly worse. So when phones do go that way I will probably wait another year or 2. But really with my eye sight 1080p still good enough.